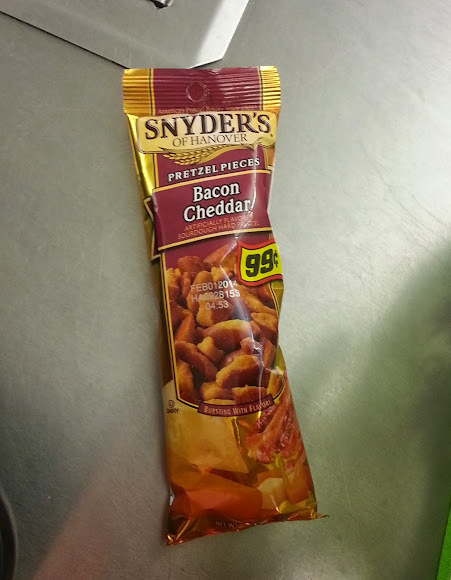 Here's one of life's great mysteries: Snyder's of Hanover's Bacon Cheddar Pretzel Pieces are *Kosher*. And I can confirm they're tasty, too. Artificial bacon flavoring is proof that G-d loves us, and wants us to be happy. My favorite as a few years back in Miami my director and I noticed the office vending machine had Pork Rinds that were marked 'triangle k'. Kosher Pork Rinds?! Wow, that's impressive.